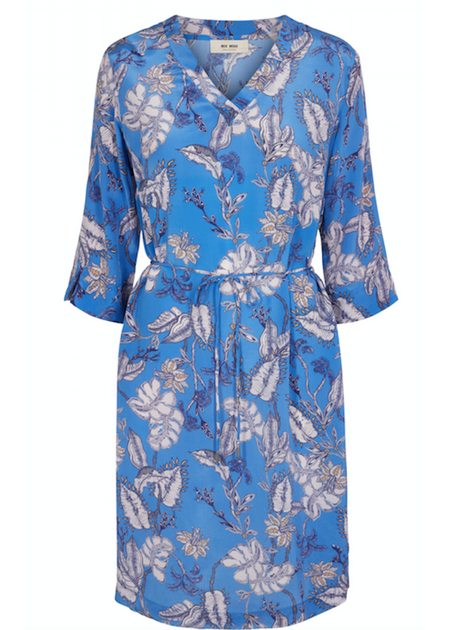 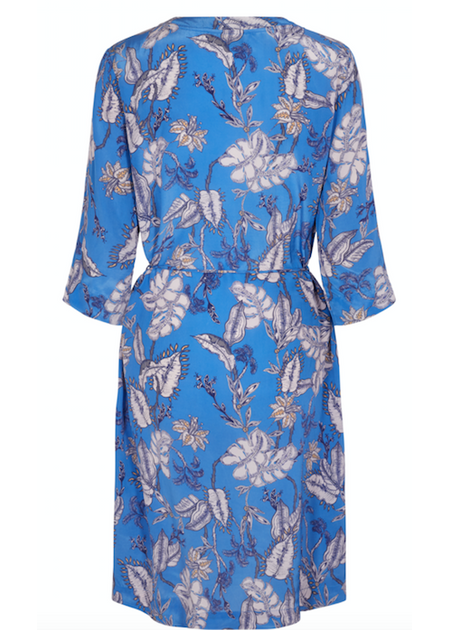 Super beautiful dress in finest print and light blue basic colour from Danish Mos Mosh. 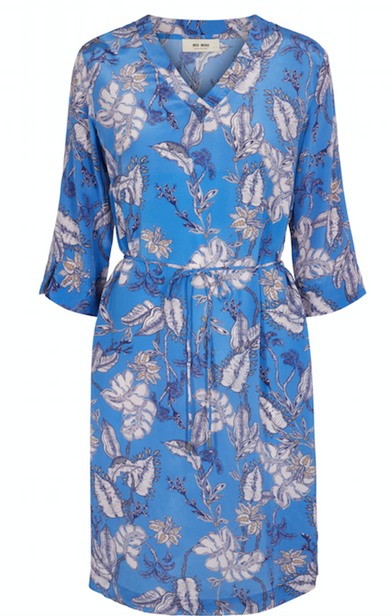 The model has a loose and casual fit, and can be used with or without the matching belt. 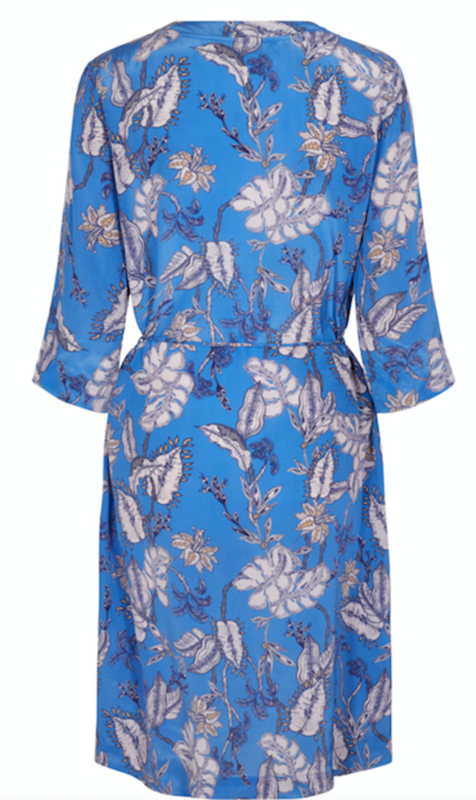 Use the dress for the season's parties or for everyday with bare legs and sandals or for spring with jeans and sneakers. Super soft and comfi dress in a nice viscous quality.